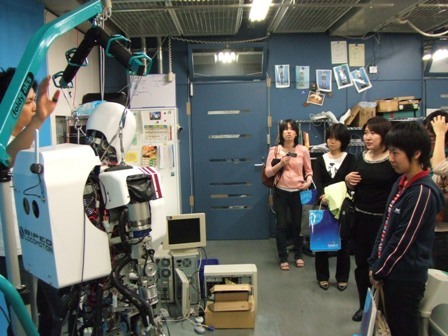 "Women in Robotics and Automation towards Human Science, Technology and Society" provides opportunity to propose and organize service activities for community members and society. 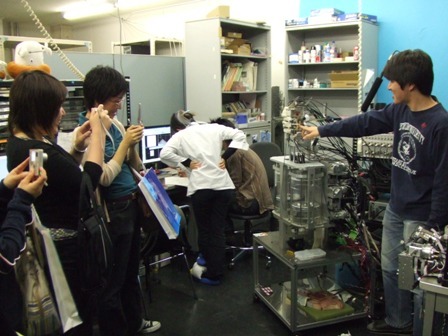 The first emergent activity was a set of lab tour and party proposed by Kazuko Itoh, who is a research associate of Takanishi Laboratory with Waseda University in Japan. We will organize such lab tours and parties in the future conference. We are looking forward to meeting you in the future. 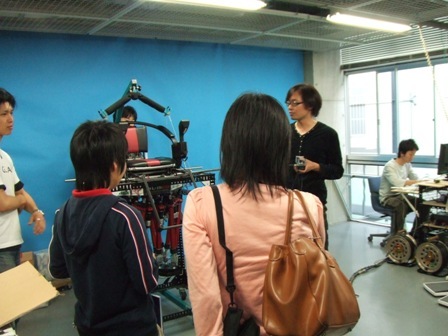 Six researchers and students participated in the lab tour. First, we visited Kikui-cho campus. 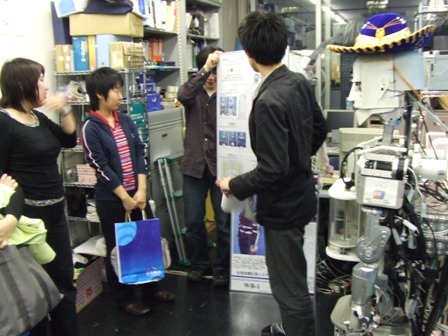 Lab members explained a biped humanoid robot "Wabian-2" and a multi-purpose biped locomotor "WL-16R III". We observed the walking demonstration of and a lot of interesting movies of experiments of "WL-16R III". Next, we went to Okubo campus. We looked at an anthropomorphic talking robot "WT-5" and an emotion expression humanoid robot "WE-4R II". Not only these humanoid robots, there are a lot of robot systems such as a treatment robot for jaw disorder person "WY-5" and artificial skin model to evaluate the skill of surgical anatomists in Takanishi lab. We enjoyed variety of robot systems in Takanishi lab and lost track of time. After the lab tour, we moved to the restaurant near Takadanobaba station for the party. Over 20 researchers and students attended the party, and had a lively discussion with nice dishes. We'd like to extend special thanks to Prof. Takanishi and members of his lab for giving the opportunity of the lab tour.